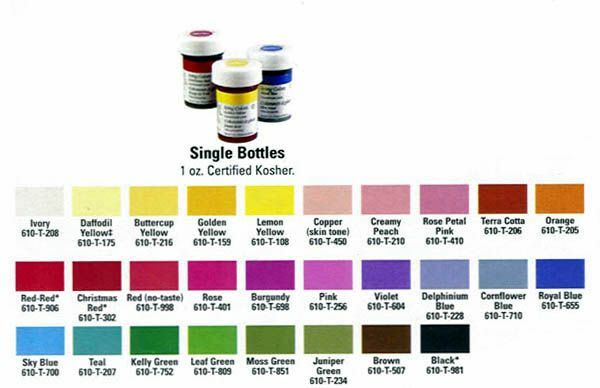 Hi Group, does anyone know if there is a site out there that has a mixing chart for gel food colors? I would love to know what colors (and amounts) to mix together to get certain colors. Thanks Sandra, I was hoping for a mixing color chart. Something that would show me for example, if I mixed red & blue = purple....etc. Thanks! I am sorry, think I pick up the wrong one. If you Google Mixing Chart for Gel Food Colors, there are dozens.